The SharePoint Migration Tool lets you migrate content from SharePoint Server 2013 or from on-premises file shares and easily move them to either SharePoint or OneDrive in Office 365. It is Designed to be used for migrations ranging from the smallest set of files to a large scale enterprise migration, the SharePoint Migration Tool will let you bring your information to the cloud and take advantage of the latest collaboration, intelligence, and security solutions with Office 365. You can download the SharePoint Migration Tool at Download . Through v3 of the SharePoint Migration Tool you’ll have available to you the innovation we’re delivering to help you bring your information to the cloud and take advantage of the latest collaboration, intelligence, and security solutions with Office 365. 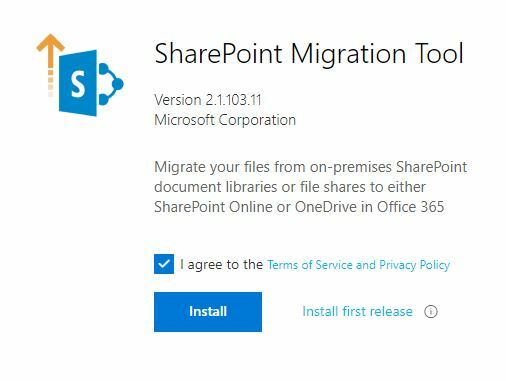 Click Yes to allow this app.After downloading and installing the SharePoint Migration Tool, read How to use the SharePoint Migration Tool to help you get started. Note :- The SharePoint Migration Tool is not available for users of Office 365 operated by 21Vianet in China. It is also not available for users of Office 365 with the German cloud using the data trustee, German Telekom. However, it is supported for users in Germany whose data location is not in the German datacenter.